Another car manufacturer is partnering up with an Android OEM to make a luxurious device. The Lamborghini Oppo Find X was announced at the same time as the regular Oppo Find X with some clever tricks up its sleeve. 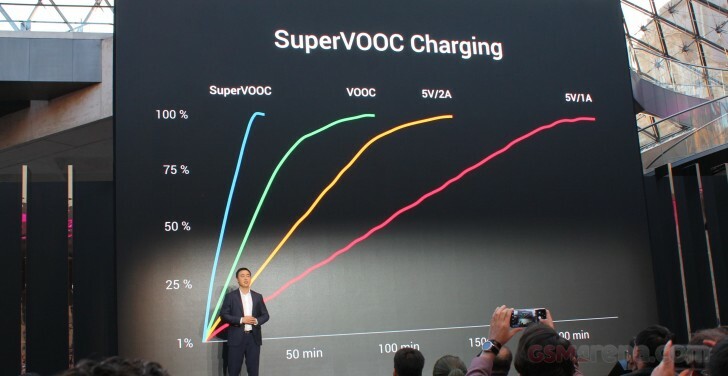 The biggest is the inclusion of Super VOOC which is supposedly the fastest charging technology for smartphones. It’s only fitting it would be launched as a result of a partnership with Lamborghini. Super VOOC was actually announced about two years ago now, but it was never officially put into a device until now. During the original announcement, Oppo claimed Super VOOC would allow for charging a 2,500mAh battery in about 15 minutes via micro USB or USB-C. OnePlus’ Dash Charging is based on Oppo’s VOOC, so if you own a OnePlus device like the OnePlus 3, OnePlus 3T, OnePlus 5, OnePlus 5T, or OnePlus 6 then you’ll already know how fast VOOC can be. Super VOOC is even faster than that, and according to Oppo, will charge the Oppo Find X’s 3,730mAh battery fully in 35 minutes. That’s some crazy fast charging. What’s more, VOOC can keep your phone cool while charging. But how does VOOC achieve fast charging speeds while keeping the phone cool? It’s the charging brick that does all of the power conversions. Conventionally, when charging a phone, the phone itself has to do power conversions to inject the power into the battery. Because VOOC uses low voltage charging, it’s very close to matching the battery’s own voltage and doesn’t need to pass a conversion circuit in the phone, instead, the voltage is converted down within the power brick itself. That’s an oversimplified explanation, but hopefully, it gets the point across. If that’s not enough to entice you to buy the Lamborghini Oppo Find X, then you’ll also be glad to know that it has 512GB of storage included! That’s twice the amount of storage that the regular variant offers. But how much does it cost? Well, Oppo has announced the device will cost €1,700, or about $2,000. 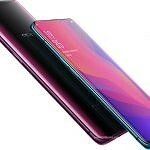 It’s still cheaper than the Porsche Design Huawei Mate RS was at launch, but the Lamborghini Oppo Find X is obviously still reserved for those who want a luxurious phone to show off. For the rest of us, what’s most interesting about this device is the inclusion of Super VOOC technology. Could we see it launch on other devices in the near future? It’s the fastest smartphone charging technology we know of on the market, so we can only hope.